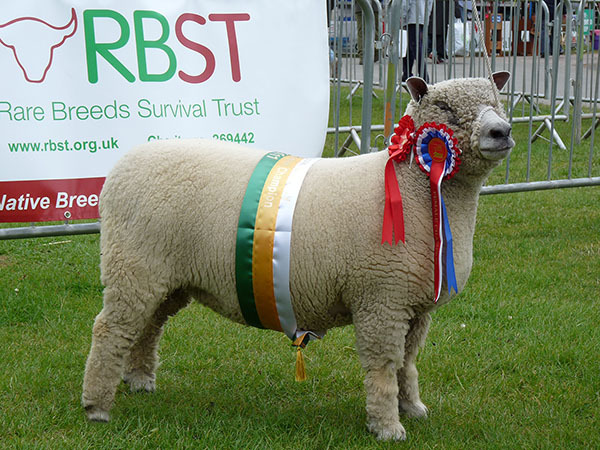 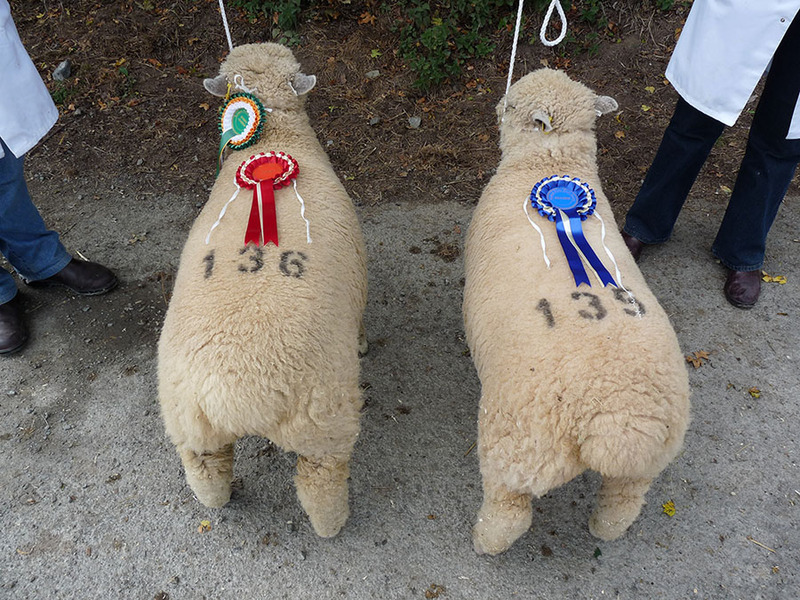 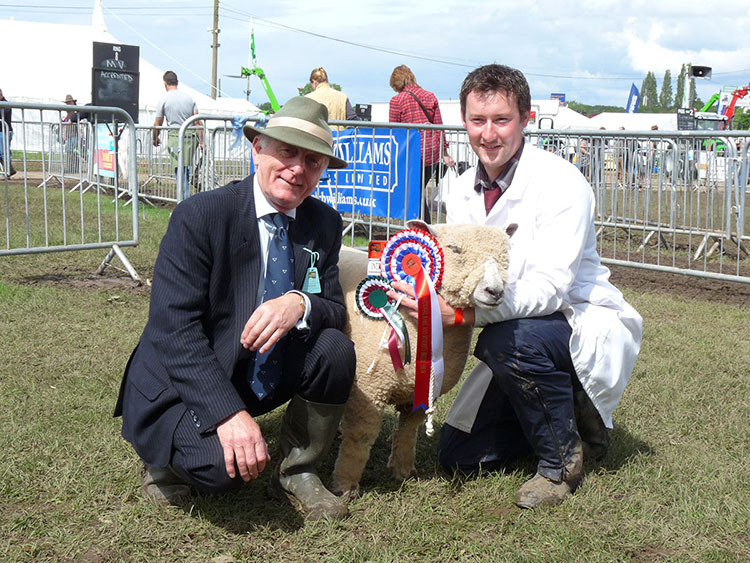 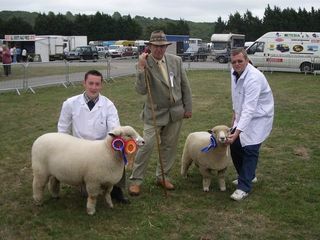 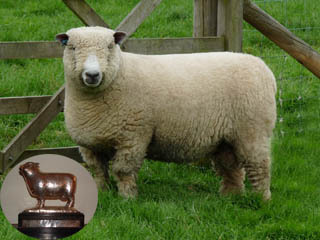 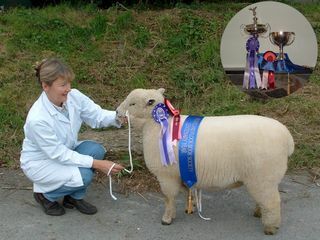 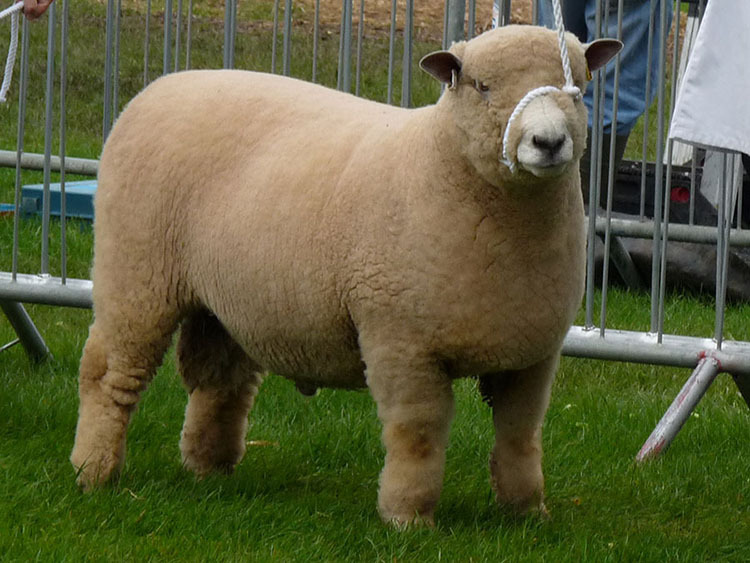 The Dolwen Flock was winner of the 2004 Royal Welsh supreme interbreed group for the best group of three sheep, one male and two females owned by the same exhibitor. 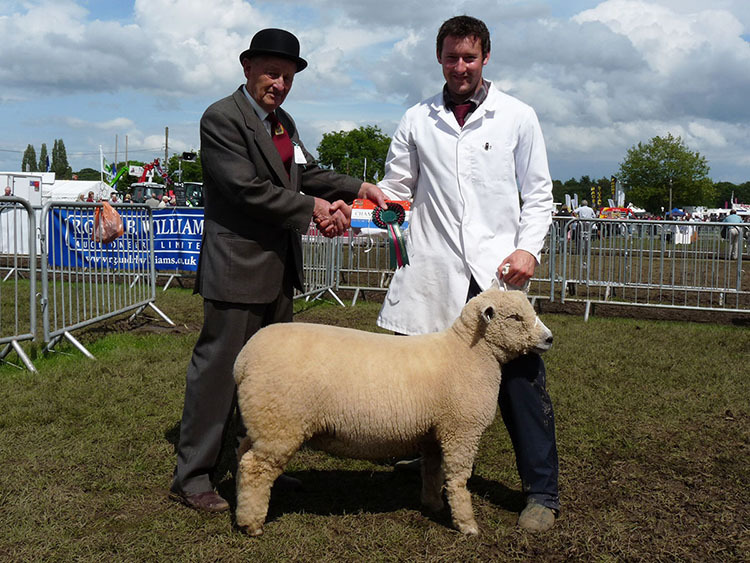 The group was judged by Mr James Thomson from Yetholm, Kelso, Roxburghshire, Scotland from over 40 different breeds of sheep and almost 3000 individual entries. Since 2010 Three Counties Show at Malven has hosted the national ryeland show. 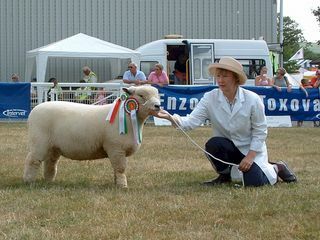 Since 2010 we have exhibited at the national rare breeds show. 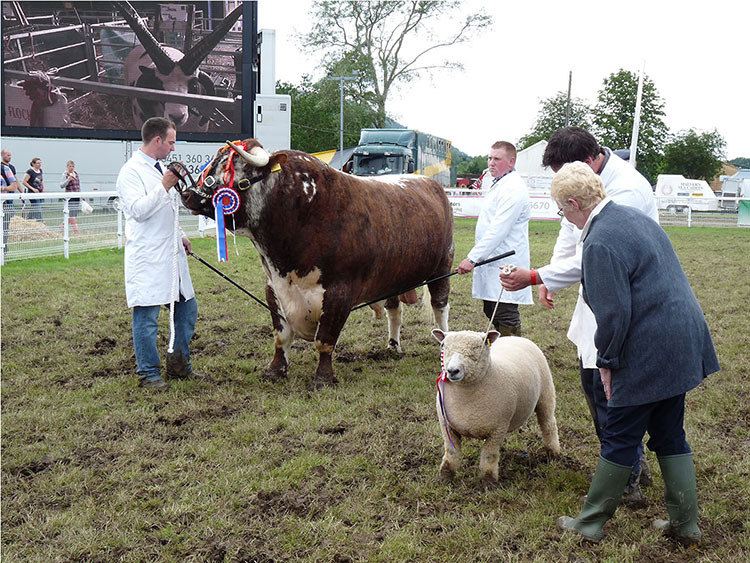 The national rare breeds show is hosted at Malvern and follows on from the Three Counties Day. We often take stock to the official Flockbook show and sale held at Ludlow market, this is a good opportunity to exhibit against Ryeland breeders from all over the uk. Since the year 2000 we have enjoyed exhibiting at the Royal Welsh this involves more than one trip to get caravan, sheep, the four of us plus our dog set up for the show week. 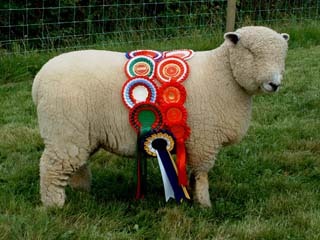 It’s exhausting, but a more than rewarding experience. 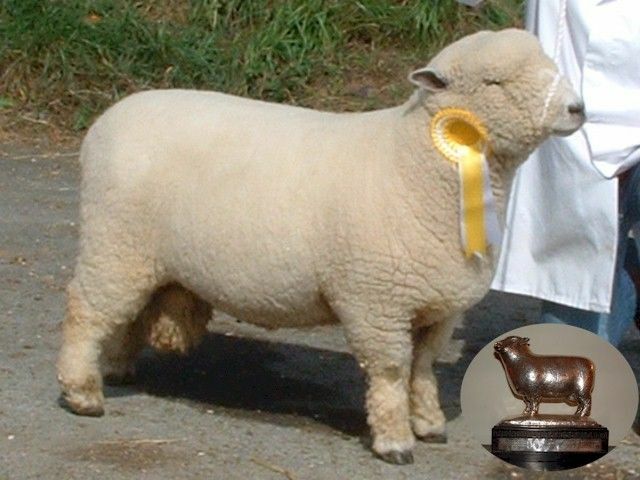 These local shows contribute towards a points trophy where local breeders are awarded points for their position in the classes, the highest total is presented with the West Wales Points Trophy, the Dolwen flock has been fortunate to win this 4 times since 2003. 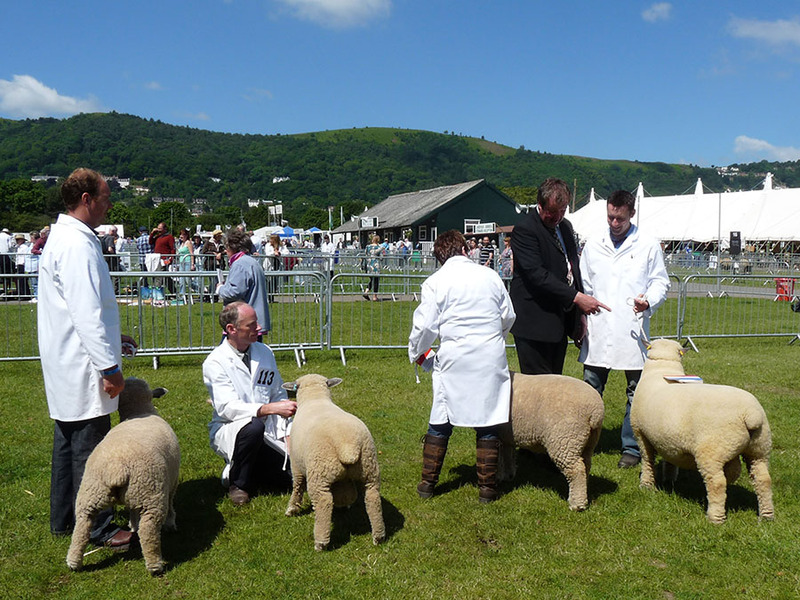 Its exciting meeting and showing against different members, we have enjoyed exhibiting at Three Counties Malvern, Monmouthshire, Devon, Shropshire West Mid, Burwarton, Kington and others.